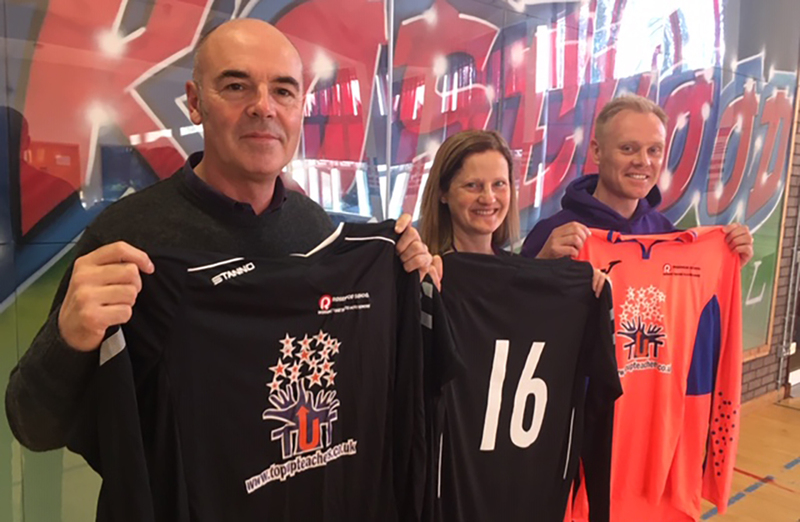 "Supplying quality teachers at affordable prices"
Top Up Teachers Plus Ltd are proud to announce their Sponsorship of Rosewood School’s Football Team. We hope this sponsorship will help the children at Rosewood develop the very unique opportunities that sport provides. We are a family run supply and tutoring business, operating in the West Midlands. We are experienced teachers with over 32 years combined teaching experience and ensure that all staff who represent us are also experienced good or outstanding members of staff who will work to our high expectations. Our business is based upon open and honest dialogue, working tirelessly for schools, staff, parents and children to provide a service that matches what we would expect ourselves, both professionally and as parents. Don’t just take this from us – read our testimonials to find out what others think of our business! "We firmly believe after 32 years combined experience in education that children deserve the best possible education. I hope through our business we can help schools in recruiting the very best staff in the hardest of times with the constraints of ever decreasing budgets"
If you’d like us to contact you, click here to enter your phone number and WE will call YOU back.